Below you can view all the homes for sale in the Hayes Barton subdivision located in Raleigh North Carolina. 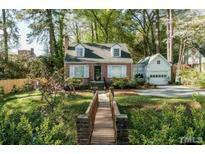 Listings in Hayes Barton are updated daily from data we receive from the Raleigh multiple listing service. To learn more about any of these homes or to receive custom notifications when a new property is listed for sale in Hayes Barton, give us a call at 919-928-5027. Charming enclosed porch, back deck, 1-car garage. This is an adorable cottage! MLS#2247875. 1071. Home presents original heart pine flooring, grand scale rooms, soaring 12’ceilings, oversized widows streaming w/ light, luxurious master, chef’s kitchen, marvelous gardens, detached office, additional lot and more! MLS#2245883. 2017. Custom built screens added.Mounted TVs in kitchen, Master Bedroom & outside convey.Newly painted exterior & all but master interior. Remote blinds. 50s.f.stone patio. MLS#2243935. 1709. Five Points + Fletcher Park around the corner. One of a kind. MLS#2244742. 2831. Skirt around the city's challenging requirements for detached garages by renovating the existing structure at the property corner. Selling "as is. "© MLS#2243159. 511. Amazing location easily walkable to Five Points' restaurants, shopping and movie theater. MLS#2241966. 511. A large lot with plenty of room, it is no wonder this one is tugging at you. MLS#2237608. 813. Office/study could be 1st floor bedroom. MLS#2237391. 1806. A quintessential southern covered porch overlooks a deep and beautifully landscaped back yard with a circular, gated driveway. MLS#2237189. 1071. Elegant painted brick two-story with hip roof - features gracious entry with large formals plus family room and private den / study - updated kitchen with Sub-Zero / Thermador / GE appliances with large half-moon island and easy access to covered porch / deck - Master Bedroom with sitting room / his-n-her vanities / Walk in Closet - period charm enhanced by the 9'1" ceilings, exquisite moldings, built-ins and generously proportioned spaces - detached studio or guest cottage w/full bath - circular driveway w/porte-cochere - MLS#2236630. 2017. Stair to 3rd Floor Attic. Worthy of Renovating! MLS#2235655. 2017. Grand open staircase leads to large bedroom suites and east-facing master with dream bath and enormous walk-in closet. Elevator-ready. Walk to 5 Pts. MLS#2234936. 2017. Carpet being removed 3/8 to expose hardwoods. MLS#2224447. 1071. Truly a special home + location, a blank slate ready for you. MLS#2223181. 2831. Upgraded Trim, Wood Shelves, Mud Room, Tech Area off kitchen- this Floorplan has it all! MLS#2211676. 1758.